The characteristic village of Torrita is located in the Valdichiana and its origins date back centuries. Its appearance alludes to its history as a fortified town, built to serve as a stronghold for the Republic of Siena. The battles fought here are depicted in a fresco by Lippo Vanni in the Sala del Mappamondo in Siena’s town hall. The artwork portrays a battle with the castle in Torrita in the background. Today, the only conflicts to be found here are the friendly compeitions that unfold during the Palio dei Somari, highlighting the rustic but gentle nature of this territory. 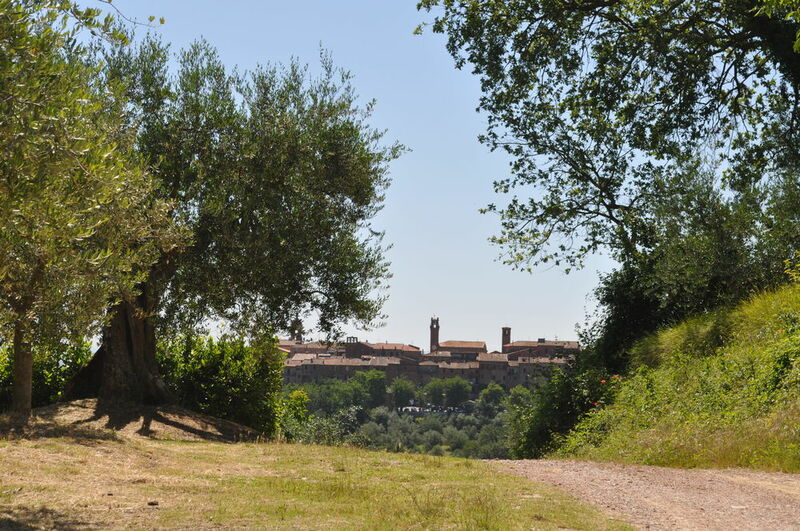 To understand the past and the soul that still permeates this area, walk along the roads and trails that wind through the surrounding countryside, visit the churches, stop for a rest in the piazzas and taste the many traditional dishes. Out of all the religious buildings in the area, some of the most important include the Temple of the Madonna delle Nevi, built in 1525, the Church of Santa Croce and its interesting Baroque interior, the Church of Santissima Annunziata and the Church of the Madonna dell’Ulivo, which is probably the oldest in Torrita and is home to a terracotta image of the Virgin Mary believed to be miraculous. There’s one church in particular, however, that contains a truly impressive work of art: it’s the Romanesque Church of Sante Flore e Lucilla, home to a low-relief lunette known as the Blood of Christ, attributed to Donatello and likely dating to the first half of the 1400s. The surrounding hills are also made for long walks, like a hike down the Vin Santo Trail, dedicated to the sweet wine produced in abundance here. This route immersed in nature, which passes through cultivated fields, presents visitors with a few fun facts about Torrita and its legends before arriving in the nearby village of Montefollonico, home to its own characteristic houses. This small, shaded village is still surrounded by defense walls, letting visitors know that it was once unconquerable, even if today it’s a popular tourist destination.